When your laptop breaks down or gets damaged, it likely puts everything on hold. Not having access to the internet, email, and your other files is stressful. Don't wait to get your laptop fixed and your life back in order. 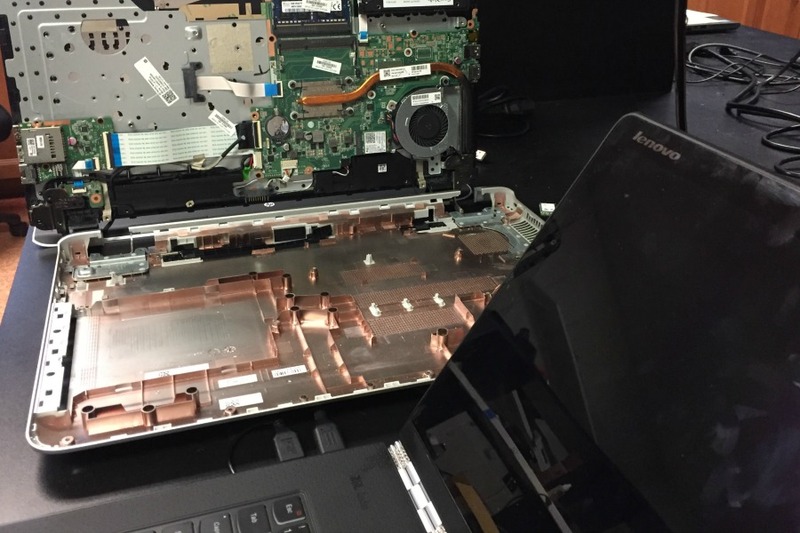 Madison Geeks diagnose and professionally repair laptops that have fallen into disrepair. With laptops being portable they are prone to breaking. There are many components inside that can become dislodged or get out of alignment. Small problems can turn into large problems. At the time you least expect it. One of the most common upgrades to laptops today is the replacement of a spinning hard drive with a Solid State Drive (SSD) that's faster and more reliable. SSD drives are more durable in a mobile environment. Let our technicians properly diagnose your computer and provide you with the best laptop repair service the Madison area has to offer. We also do laptop sales from major manufacturers.